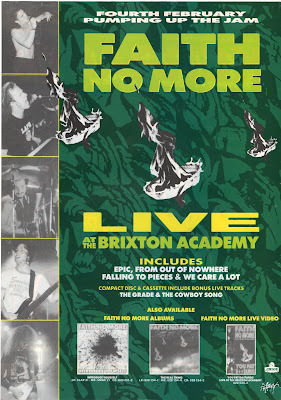 On February 4th 1991 Faith No More released the live recording of their 1990 show at Brixton Academy on CD. Their are of course a few dates to celebrate this show, April 28th 1990 (the date of the actual perfomance) and August 1st 1990 (the release date of the VHS). Hammersmith Odeon and the Reading Festival. Popping back and forth across the Atlantic with alarming regularity, they journeyed much over the surface of Britain-wearing out a considerable amount of rubber In the process! 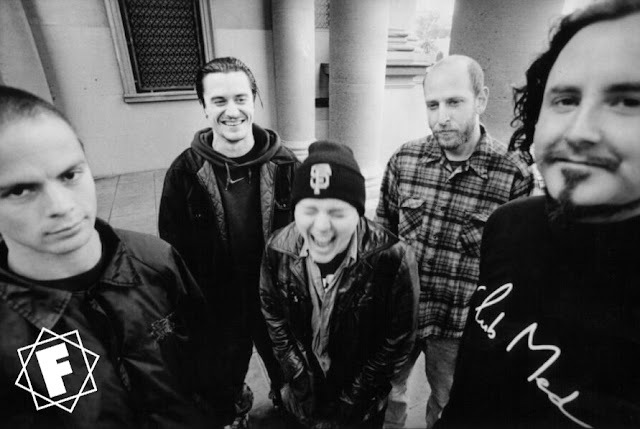 And so it was deemed that the rest of '91 will be a Faith No More no more year. Too much touring of Britain. Well we suppose they deserve a break. But don't despair! To satisfy our hunger Londonhave put out a mini live album. 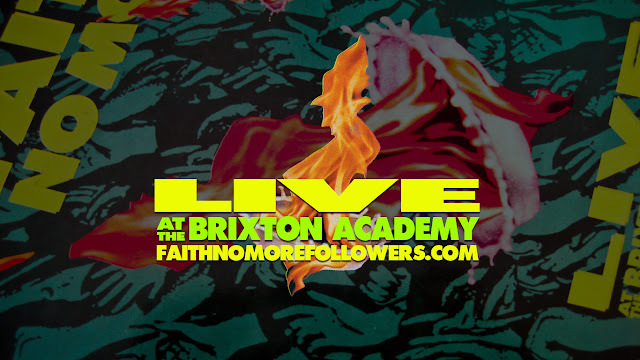 Recorded at Brixton Academy in April of last year itfeatures eight live monsters. The CD version ineludes two extra tracks -'The Cowboy Song' and 'The Grade' which have never before beenwidely available. 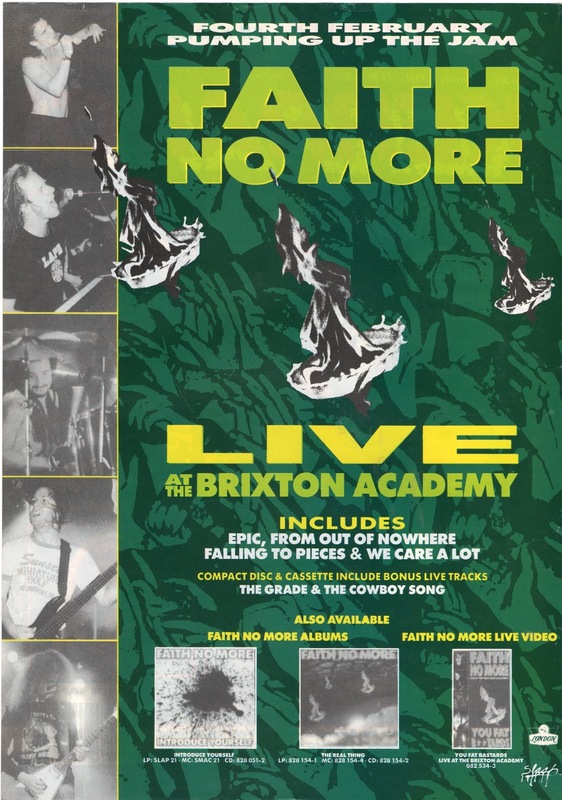 Of course no live album from FNM would be complete without their habitual encore and Black Sabbath original 'War Pigs'.It's here, planted firmly at the end of side one, bathing in allits glory. Infact the LP includes most of FNM's finest - 'The RealThing', 'Epic', 'From Out Of Nowhere' and 'We Care A Lot'. Capturing their essential live sound to a tee, so very well that you just want to throw your body about with the sheer pleasure of it all. 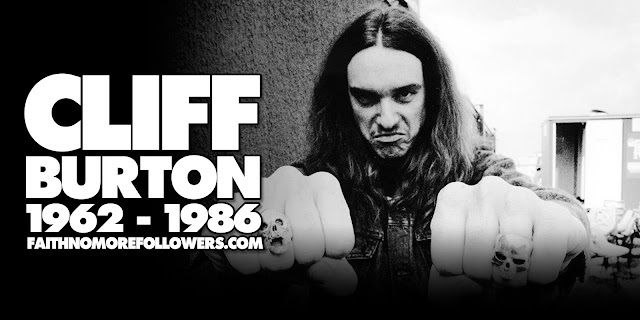 We're gonna place our ears between the speakers of two very powerful amps and blast ourselves 'till our heads explode! Then we're off to Faith No More heaven. See ya there!